Yoshi’s Crafted World – Jump into a new Yoshi adventure in a world made of everyday objects, like boxes and paper cups. As Yoshi, you’ll leap up high, gulp down enemies and set out on a treasure hunt to find all the different collectables. On the flip-side, certain stages can be played backward, providing new perspectives to explore and new ways to locate some of the more craftily hidden items. The Yoshi’s Crafted World game is available on March 29. Find the Poochy Pups to Earn My Nintendo Rewards Points – Poochy Pups are hiding in different spots on the official site for the Yoshi’s Crafted Worldgame. You can earn 150 My Nintendo Platinum Points* for finding all three! Happy Spring! 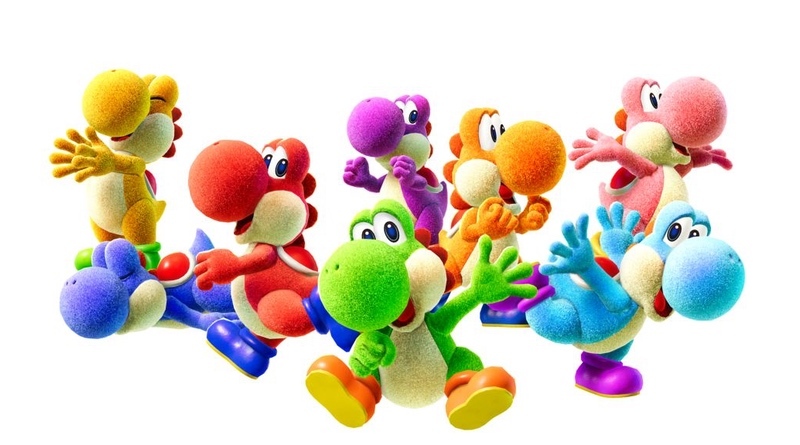 – To celebrate the launch of Yoshi’s Crafted World, My Nintendo is offering new Yoshi-themed rewards. Starting on March 29, redeem your points* and get wallpapers calendars and more. For more info, visit https://my.nintendo.com/news.